Thank you for visiting the Zebra Pen Canada Corporation (“Zebra Pen”). 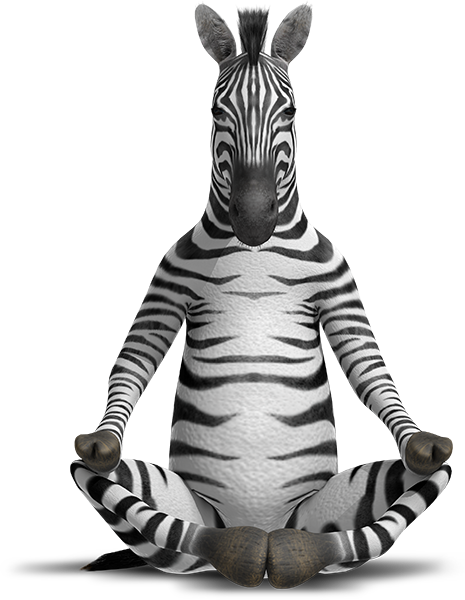 We at Zebra Pen are committed to protecting the information that you share with us, and explaining how we collect, process, and share that information online. We receive and store certain types of information from you whenever you interact with our Sites to deliver the products you request from us, and help improve your overall user experience. For example, like many other websites, we store “cookies” and other web-based files on user devices to get certain types of information when your web browser accesses our Site. Previous shopping history with Zebra Pen. Payment Information. If you purchase a product on our Site, our vendor will collect payment card information from you, including your name, expiration date, authentication code, and billing address. We will securely transmit this information consistent with payment card industry rules to the appropriate payment facilitators. For more information about our ad service provider and its cookies, including information about how to opt out of certain targeting activities, you may visit the Digital Advertising Alliance Consumer Choice Page at www.youradchoices.ca. In addition, users may prevent Google Analytics collection of data generated by your use of the Sites (including your IP address) by downloading and installing a Browser Plugin available at https://tools.google.com/dlpage/gaoptout?hl=en. Authorized Service Providers. We use other companies and individuals to perform certain functions on our behalf. Those functions include payment card processors, shipping vendors, call-center support, analyzing or hosting data on cloud-based servers, and other companies that help us improve our products and services. We may disclose your Personal Information to these companies and other individuals performing services in Canada or other locations where Zebra Pen conducts business. The security and confidentiality of your Personal Information matters to us. That’s why we have technical, administrative, and physical controls in place to protect your Personal Information from unauthorized access, use, and disclosure. For example, we encrypt payment card information you submit to us using Secure Sockets Layer (“SSL”) technology that helps protect information during transport to our Site. By necessity, we transmit the entire payment card number to the appropriate credit card company through our payment processing vendor during order processing in accordance with payment card rules. We also review our security procedures periodically to consider appropriate new technology and updated methods. Even so, despite our reasonable efforts, no security measure is ever perfect or impenetrable. You can update the shipping or billing information, as well as other Personal Information, you provided to us by logging-in to the My Account page, and making the appropriate changes or corrections yourself by clicking the edit button next to “Contact Information.” You can also update your newsletter preferences by logging-in to the My Account page or contact us directly at the address below. If you wish to de-activate your account, you may do so by contacting our customer support team at canadainfo@zebrapen.com. Once you do so, your account will then be de-activated on a going-forward basis, although certain Personal Information may still be retained in accordance with our Record Retention Policy or to the extent necessary to fulfill our legitimate business needs, comply with applicable law, resolve disputes, and enforce our agreements.